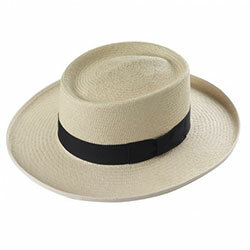 The GENUINE PANAMA HAT from Ecuador. 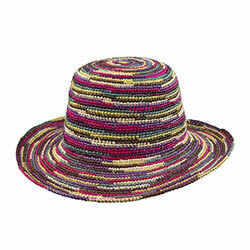 The ideal summer headwear; light on the head, but fully protective from the sun's harmful rays in any part of the world. It is available in a wide quality range, depending on the fineness of the weave, and in a variety of colours, as illustrated below. It can also be shaped into all the popular styles, for both men and women, thus providing what is often regarded as the most elegant headwear in the world. We can supply either Panama hoods in an assortment of colours, qualities and weaves, or else, we can supply ready-made hats in popular shapes. Click any of the headings below to find out more about the product types. This is the style which has become famous around the world. By folding the hat along the ridge of the crown it can be rolled-up and put with the rest of your luggage in a suitcase whilst travelling. It should, however, be unrolled immediately on arrival to ensure that its shape is maintained. 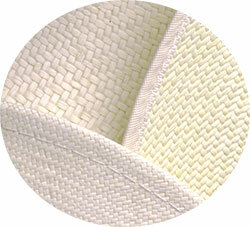 Like all Panamas, it is available in a wide variety of qualities, depending on the fineness of the weave. 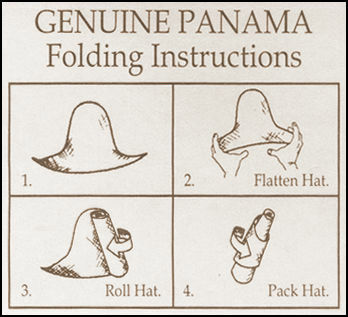 For the style of Panama which can be folded, ie. the men's folder and the ladies hoods, it is important to follow this diagram carefully. This is, perhaps, the most common style worn by men. There are, of course, small variations of the trilby style, (not illustrated here), but the style shown is probably the most popular. Like all Panamas it is available in a wide variety of qualities, depending on the fineness of the weave. 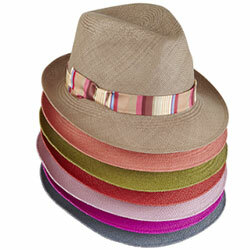 The trilby is often worn with a variety of coloured, patterned or regimental bands. The Planter is one of the more flamboyant styles available and although illustrated here with the traditional black band, often benefits from the use of a more colourful and, perhaps, patterned band, creating a country-style or less formal image. 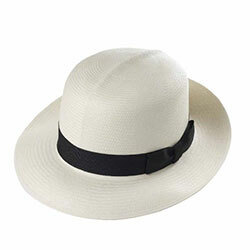 The Ladies' Panama, available in the same wide variety of quality as the men's, but able to take far greater advantage of the wonderful colour spectrum available, is ideally suited to the ingenuity of the milliner in demonstrating their inspired creations. 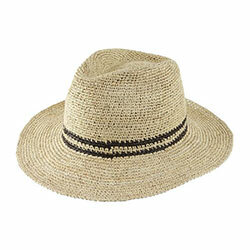 For the wearer it is light on the head and provides the elegance you would expect from such a distinguished hat. In its basic form it can be easily rolled for the purpose of travelling, but should, of course, be allowed to adopt its natural shape immediately on arrival. 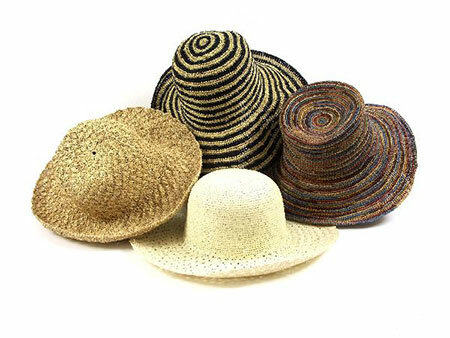 We supply a wonderful assortment of Panama hoods to international milliners, hatters and designers, for them to block and shape themselves. The textured and fancy coloured Panama hoods can be ordered from stock, if available, or especially commissioned in Ecuador for our customers. To the right are just three examples of the wide variety of the weave from course to ultra fine. The course weave may take the weaver just three days to produce a hat, but the finest available weave may take up to three months.